Yesterday, I showed you all Nick’s birthday muffins, and I’m sure some of you were wondering what that cheesy deliciousness in the background of some of the pictures was. You’d be wrong if you assumed a measly muffin is enough to satisfy Nick’s breakfast appetite. 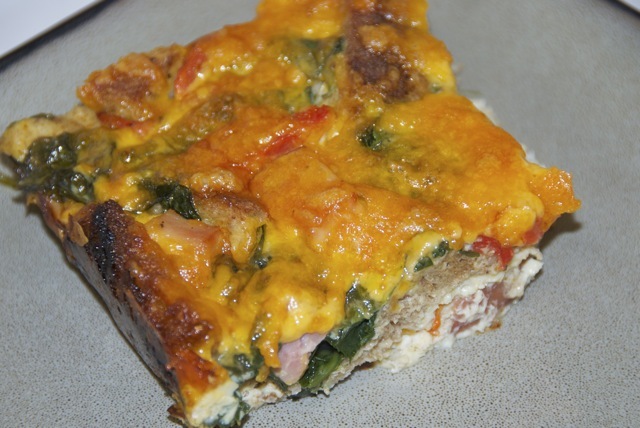 While not averse to sweet breakfasts (Lucky Charms, in particular), Nick usually prefers savory breakfasts because, well, they’re usually bigger, greasier, and a lot more filling. So I decided to do a little savory alongside my sweet. 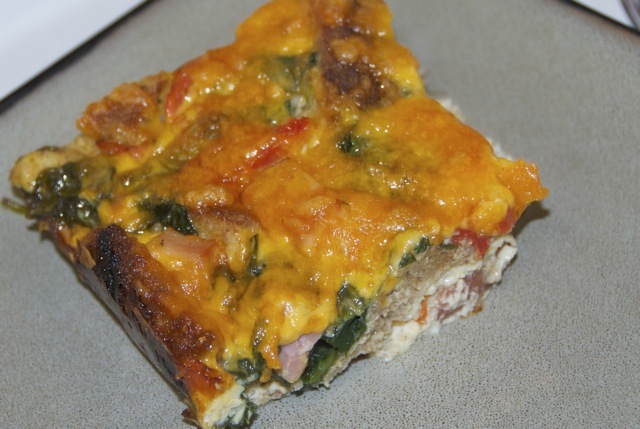 I stuck with my healthy route, but this breakfast casserole still has enough protein to fill you up and enough flavor to keep you coming back for more! The original recipe called for rosemary and gruyere, but Aunt Diane sent me home from California a couple weeks ago with some ground chipotle chili, and this seemed like the perfect opportunity to use it. So I subbed in the chipotle and some sharp cheddar, and the flavor combo was amazing! 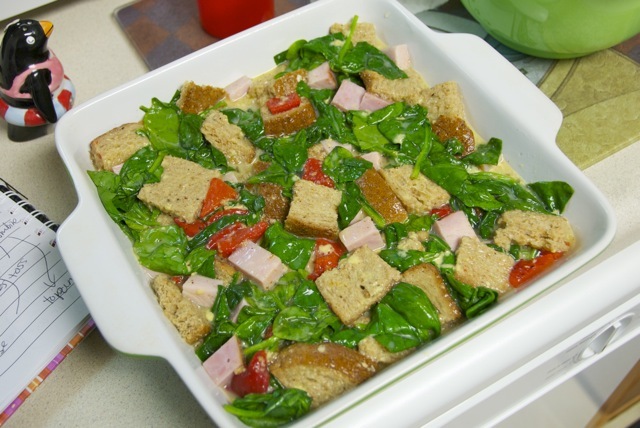 Preheat oven to 375 degrees and coat a 2-quart baking dish with nonstick spray. 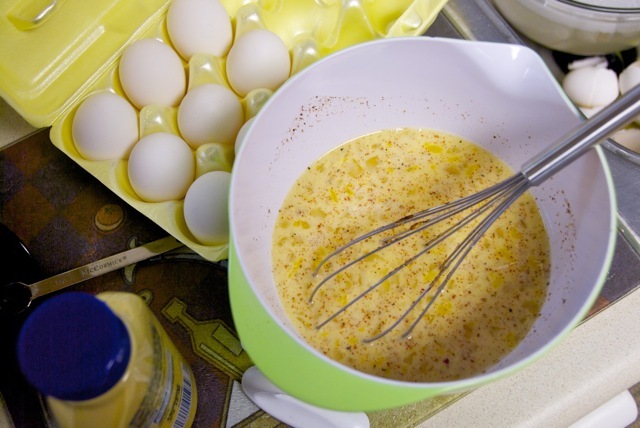 Whisk eggs, egg whites and milk in a medium bowl. Add mustard, chipotle and pepper and whisk to combine. 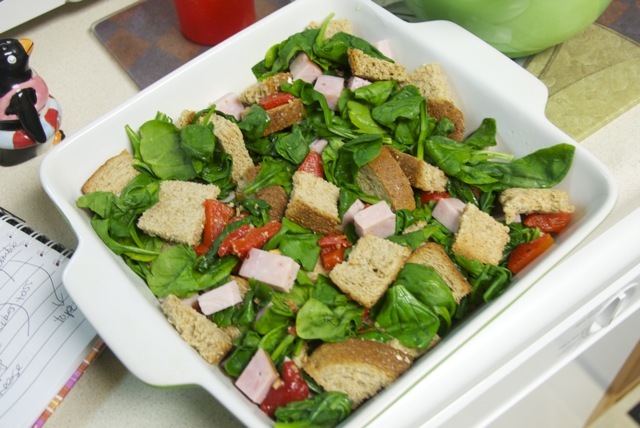 Toss spinach, bread, ham and roasted red peppers in a large bowl. 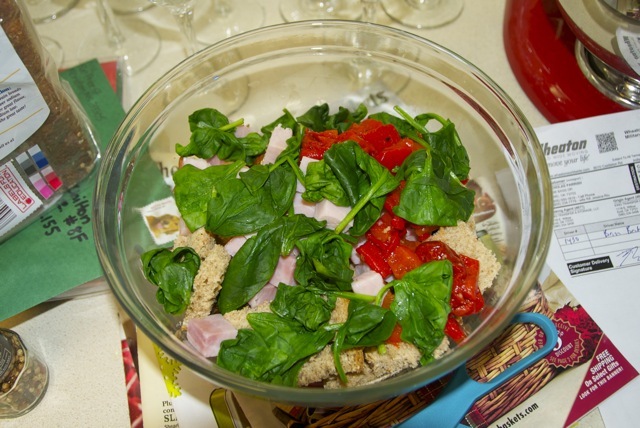 Pour the egg mixture over the bread mix and push down to compact. Bake until the custard has set, 40 to 45 minutes. 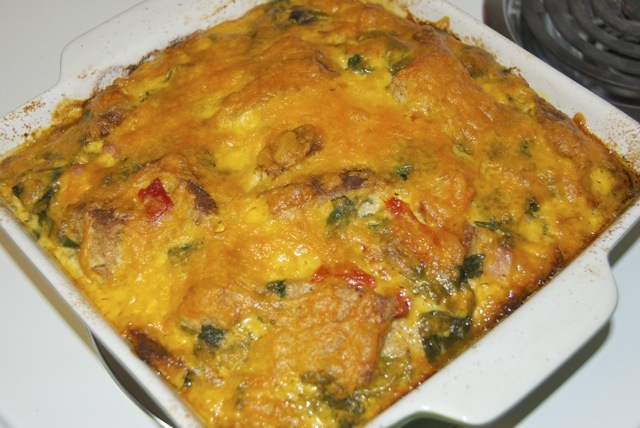 Uncover, sprinkle with cheese and continue baking until the pudding is puffed and golden on top, 15 to 20 minutes more. The dish was a big success, and the best part? Leftovers! I had a couple mornings off from my egg and toast duty. Definitely a great way to save some time during the week!